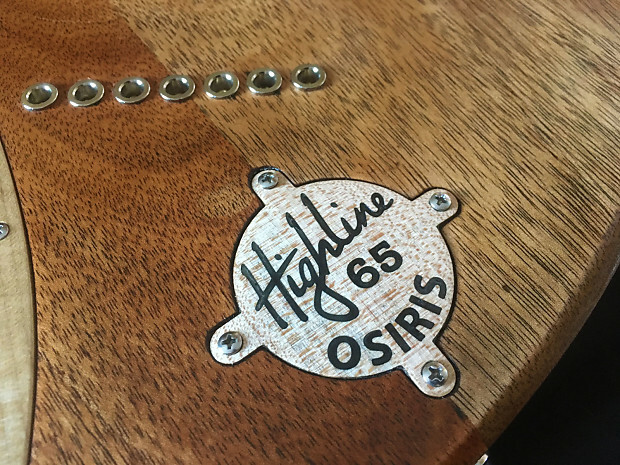 The Highline Guitar’s Osiris Deluxe seven string, multiscale guitar offered here was made by luthier Chris Monck at his shop near the foot of the Rocky Mountains in Colorado, USA. 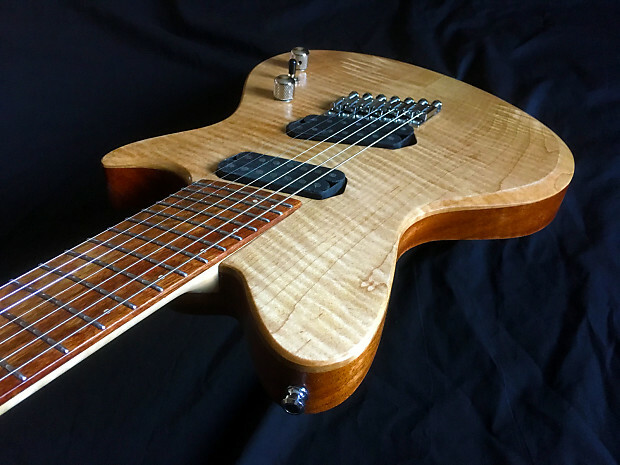 To build his guitars, Chris relies on both CNC technology as well as traditional hand building techniques. 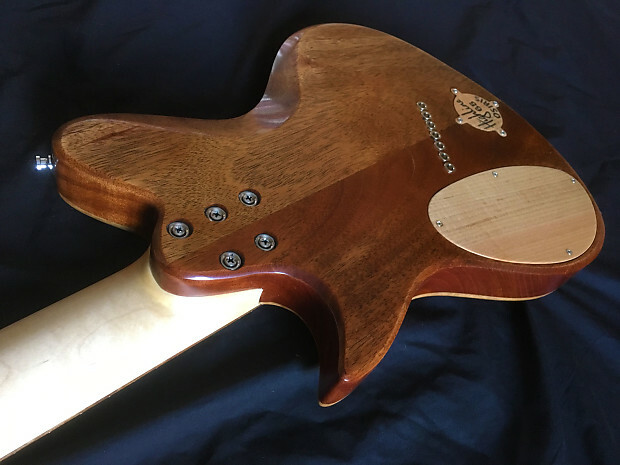 When he isn't fabricating custom, one-of-a-kind guitars for his clients, Chris likes to make his own designs and sell them here on Reverb. 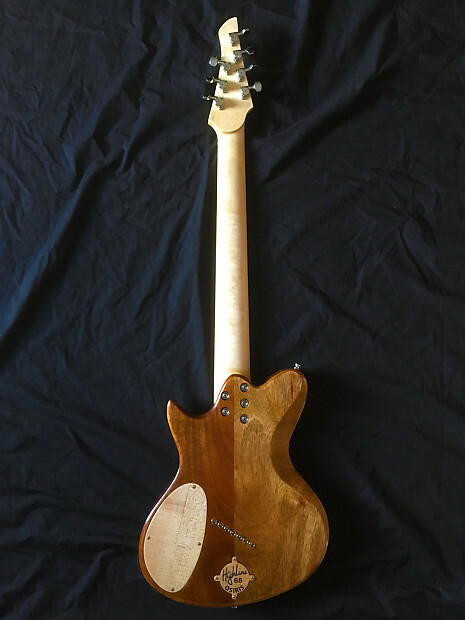 Body: Mahogany with a book matched flamed Maple top. 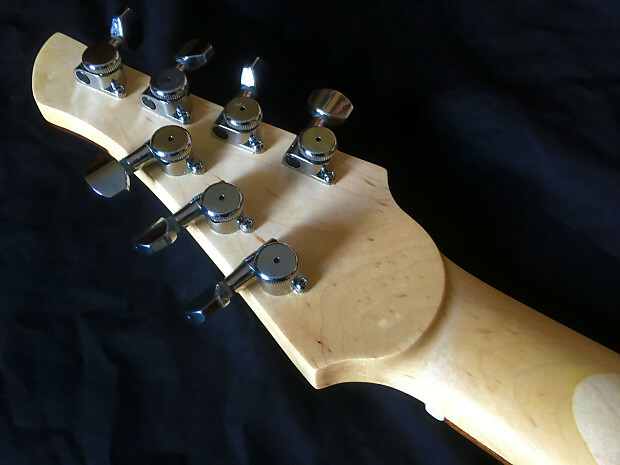 Neck: Bolt-on Eastern Rock Maple. 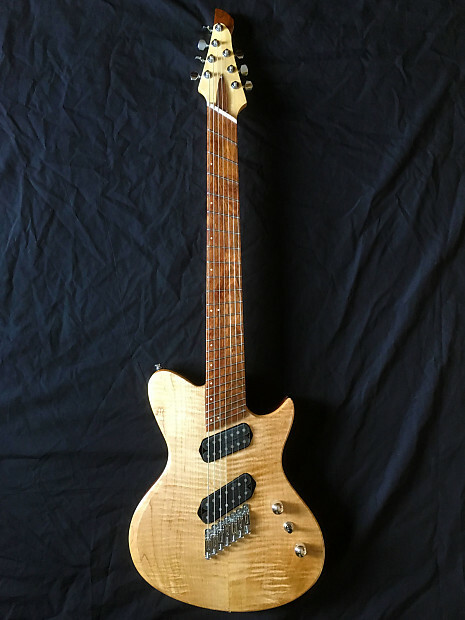 Scale: 25.5” on the 1st string and 28” on the 7th string. 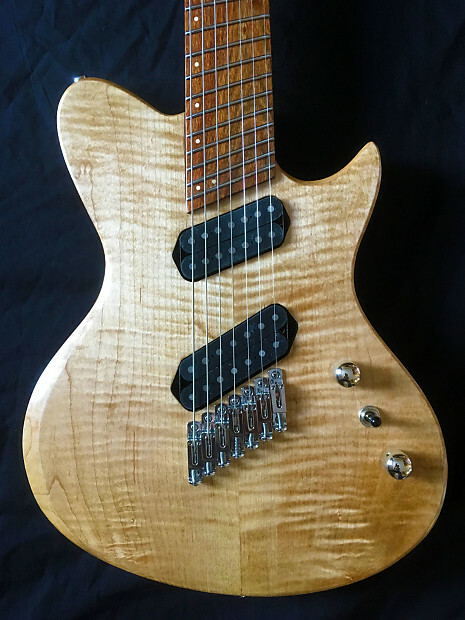 The 9th fret is perpendicular. 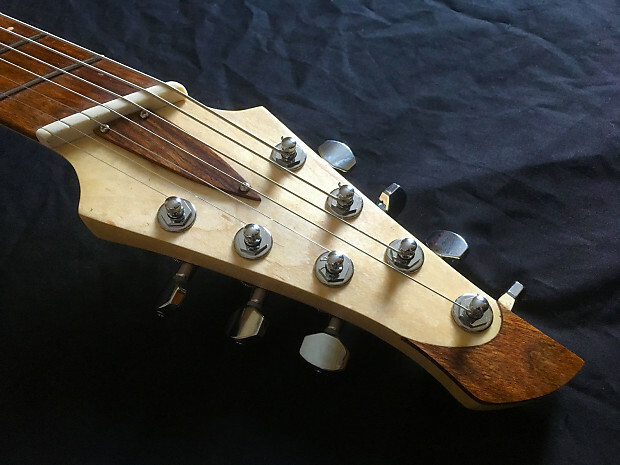 Tuners: Hipshot sealed locking tuners. 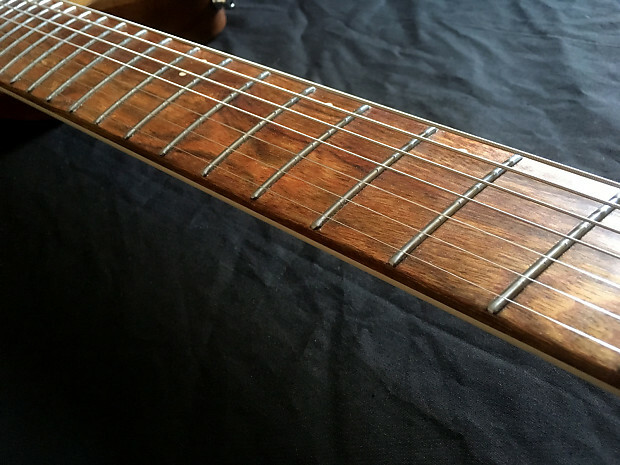 Fret wire: Stainless steel frets. 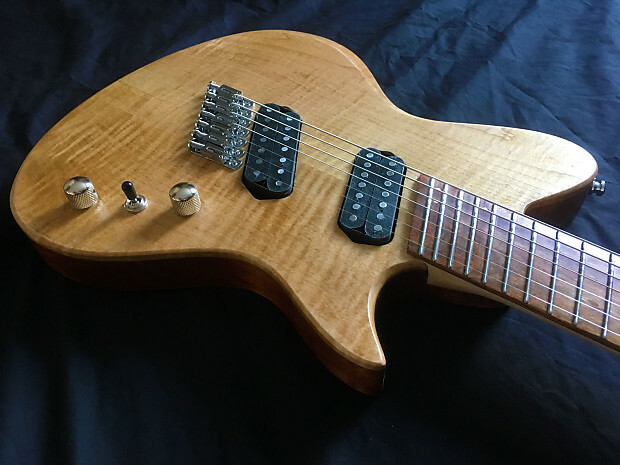 Pickups: Custom fabricated, hand wound Highline seven string, multiscale humbuckers. 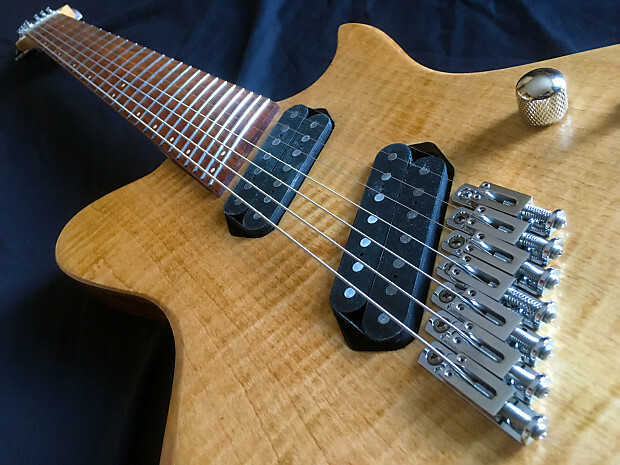 Both pickups feature alnico V magnets. Controls: Push/pull volume, push/pull tone pots, and a 3-way toggle switch. 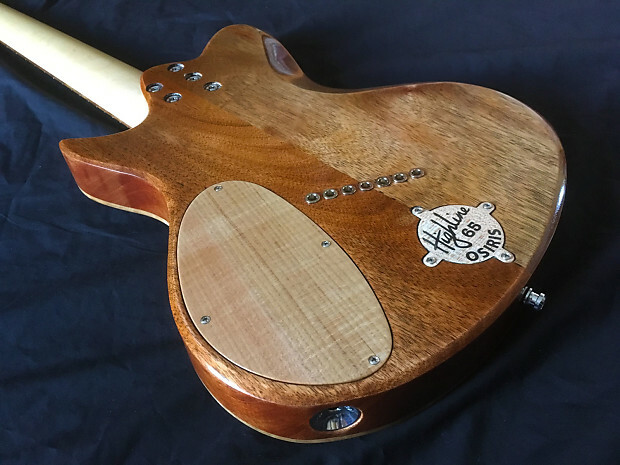 Pulling out the volume knob will switch the neck pickup to single coil mode. Pulling out the tone knob will do the same for the bridge pickup. 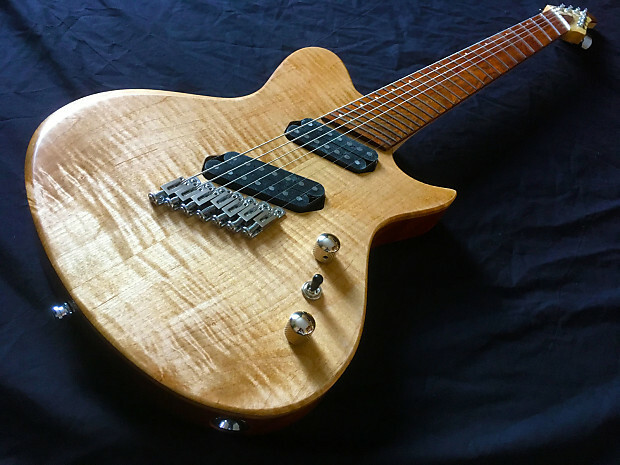 Tone: Hot yet well-balanced humbucker warmth with the option to select single coil mode for each pickup. 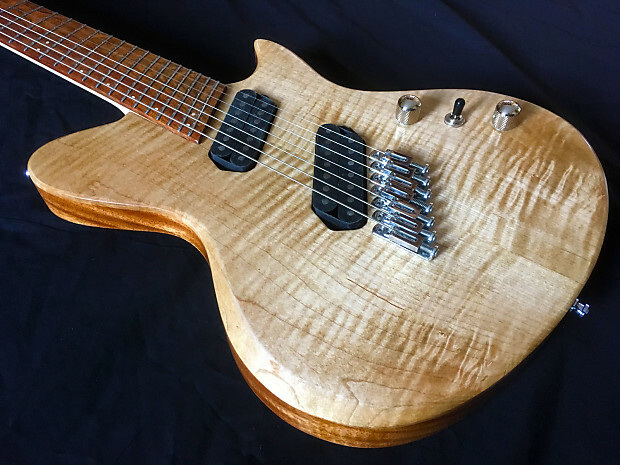 Bridge: Hipshot Solo bridges with string through the body mounting. Strap buttons: Schaller strap locks. 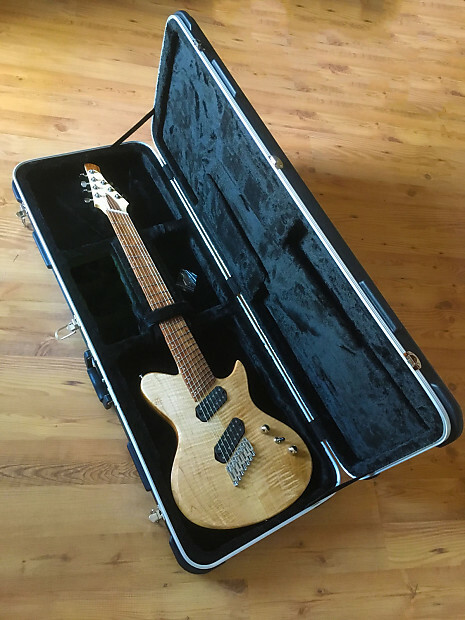 A plush-lined molded ABS hardshell case is included.